After 36 years spent in the so-called death row 72 years old Brandon Jones was killed by lethal injection by the State of Georgia. The story in a sentence, a title, but also a key for giving sense to the rest. A pile of neglected words, grouped in the middle of the room with the broom, ready to board on the only possible way of transport in the unique granted trip. On the shovel to the trash or, at worst, under the carpet. But let's assume that the device jammed. It happens, it happens often and maybe is not a real news, but that does not mean it did not happen. That does not imply you cannot believe it. Let’s assume you had in your hands the same key and with it time and desire to see better that rest. We have to dig through the forgotten dust and read tiny stories. Of a soul who was abused at home, for example. Another story in a few words, other meanings, other keys. Then be brave, let’s advance, door by door, and let’s find a young man with mental illness. Yes, I know, that is a prelude to rhetorical scenarios, not original repertoire and all debased to conquer the soft areas of the jury. But what we do if all this was true? Then let’s proceed until there is more light in the dark, or perhaps the opposite. And we see a thirty-six year old man, exactly how many separate him from the last paragraph of his life, entering a mini market to steal. That does not mean that you cannot empathize. In fact, let’s enlarge our vision and let’s see everything. The oldest detainee is not alone, before the prospective victim. There is an accomplice, unaware of having himself a poisonous syringe waiting for him six years ahead. Think about it, but this is really the more obvious news. There is always an accomplice in any wrongdoing, it just does not always earns the name in the credits. Let’s face the twist, literally. 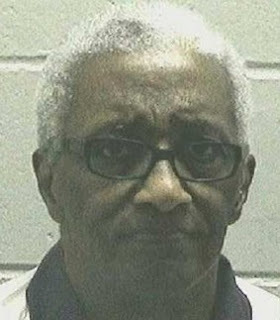 Namely, let’s assume that the fatal shot was not made by the oldest inmate on death row, but his comrade. So, let’s suppose that he has spent in chains more than thirteen thousand of his days, the last ones, for being found at the wrong time in the wrong place in the world that boasts of being right. Let’s think that was what really happened. The oldest inmate is dead, now, nothing to object, despite the biggest punishment was not death, but rather life. Well, then, who or what was executed on that bed?